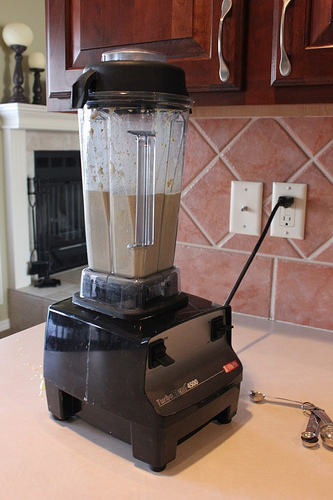 I love how the Vitamix makes the pancake batter so smooth. 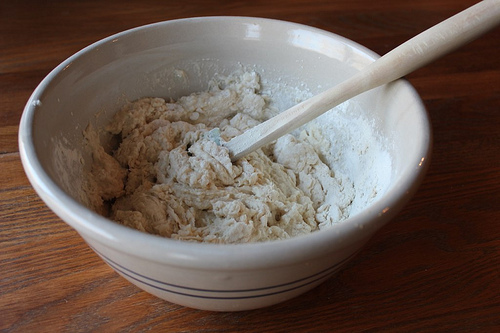 While the pancakes were baking, I mixed up the yeast mixture for the Crusty Baguettes and let that sit for 10 minutes. Then, I whipped up the Quinoa Cookies. 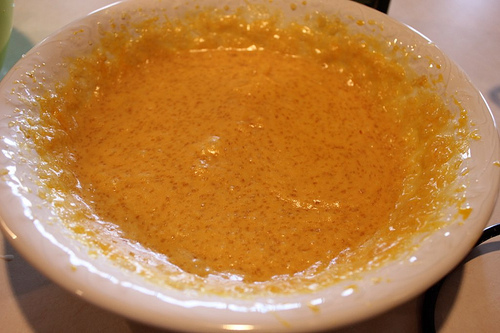 I love how yellow the batter is when I use farm-fresh eggs! The Quinoa Cookies were a definite success. 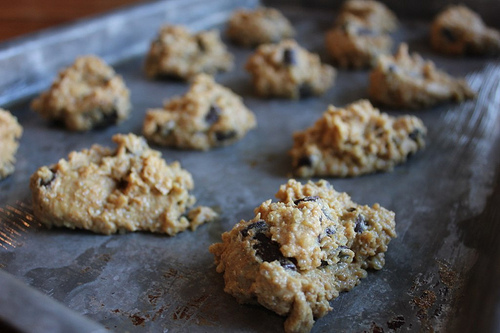 They are a soft cookie — more along the lines of a breakfast cookie — and they pack a nutritional punch. 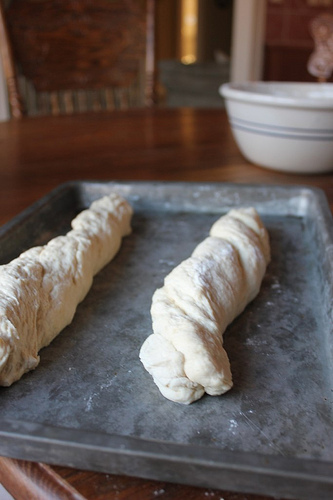 The Crusty Baguettes were so easy to make. 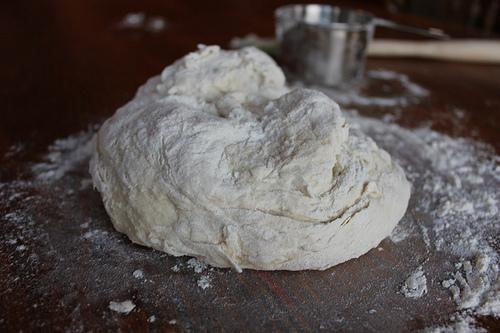 The dough was stickier than I expected so I ended up adding a little more flour than it called for. I didn’t get a picture of the final Crusty Baguettes, but they were beautiful and I was very impressed with the recipe. 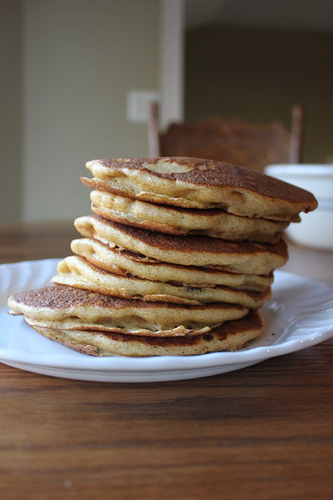 And the Whole Wheat Blender Pancakes turned out well, too. They weren’t sweet — since they didn’t have any sweetener in them — but they were wholesome and yummy. All in all, it was another very successful Freezer Cooking in an Hour session — yay! New to freezer cooking? 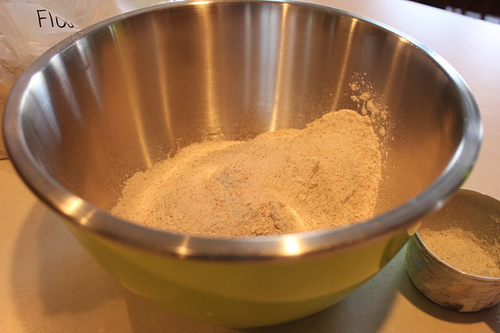 Be sure to check out my post on How to Save Time and Money by Freezer Cooking. Did you do any freezer cooking this week? Just a reminder: This offer ends this weekend! 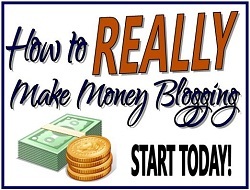 Blogelina is once again offering her very popular 4-week blogging class — for FREE! This online class will be held in April 2013. Blueprints, step-by-step tutorials, networking with other bloggers – Everything you need to grow your blog. Save yourself a lot of time, trouble, and money – learn from my own experiences what to do and not to do. Go here to sign up for the FREE 4-week blogging class. 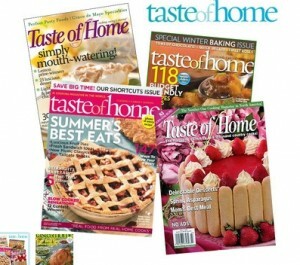 Order a one-year subscription to Taste of Home Magazine for $4.50 per year when you use coupon code MONEYSAVING at checkout. America’s No. 1 cooking magazine takes a commonsense approach to family-pleasing meals with family-tested favorites, hints on cooking for one or two, as well as meals on a budget for big families and more. This offer expires tonight 03/29/13 11:59 PM EST. Early to Rise Challenge: Don’t Settle for Average! 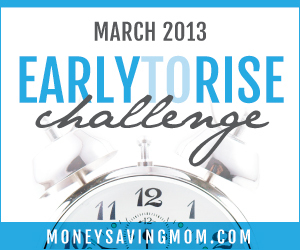 Welcome to the Early to Rise Challenge! Throughout the month of March, I’m challenging myself and my readers to make the most of their mornings. So every week day morning at 9 a.m. EST, I’m posting a short Early to Rise post. I’ll share a few of my thoughts on the day’s passage from Early to Rise, tell you what time I got up that morning, and encourage you to leave a comment to tell us what time you got up and how you’re doing on the challenge. It’s the last official day for the Early to Rise challenge here. I have been so blessed by each and everyone of you who participated, commented, and/or read along with this challenge this month. You all were such an inspiration to me in this challenge. And I had one of the best months I’ve had in a long time — thanks in great part to faithfully getting up early. 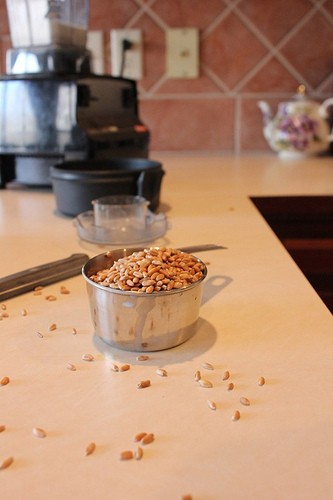 I want to close out this challenge by encouraging you to continue to use your mornings well. Just because the challenge is over doesn’t mean that you need to stop getting up early or being productive in the morning. Find someone locally or online to be your accountability partner and keep with it. You were made for more than average. Don’t settle for the status quo. Wrap your life, your time, your efforts, your priorities around those things that are going to matter in 25 years. You’ve only got one life to live. Make the most of it! 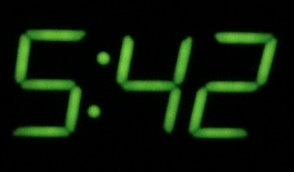 What time did you get up? Leave a comment and let us know! Want to blog about this challenge? If you’re blogging through this challenge with me, be sure to leave your link to your direct post for today below. Plus, if you’d like to post your daily posts to the Early to Rise Group Board on my Pinterest page, just shoot me an email (moneysavingmom @ gmail dot com) and I’ll invite you. Want to follow along on Twitter or Instagram? Each week day morning on my Facebook Page, my Twitter account, and my Instagram account, I’ll be posting a picture of my alarm clock as public accountability. I’d love to have you do the same or join in the discussion on Twitter and Instagram. Just follow hashtag #EarlytoRise to see what others are tweeting and Instagramming about this challenge! If you’re new to homeschooling and looking for additional information to get you started be sure to read through the Homeschooling Basics series on Homeschool Creations. Jolathne is sharing step-by-step information to help you begin your journey well. Free Printable Noun Verb Food Sort (Great for Language Arts Center or File Folder Game) This set can easily be laminated and stored in a pocket folder for use again and again! You can currently download a free Spring Unit Study from CurrClick. 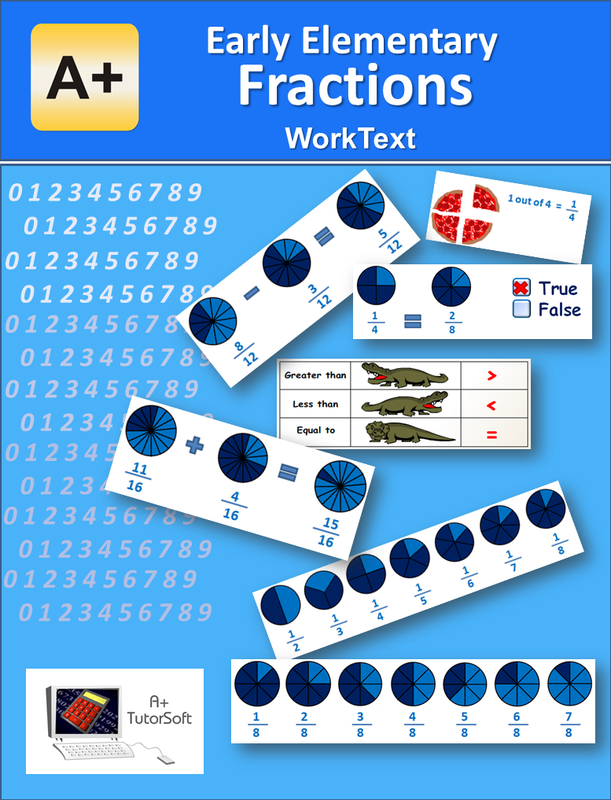 This week you can download a Free Early Elementary Fractions WorkText (Textbook and Workbook). This 88-page set is normally $8.00, so even if you don’t have children who are on fractions yet – you may want to grab it now and save it for later. This offer ends 3/31/13. You will receive the “It’s All About Money,” 176 page comprehensive unit with 8 centers and 70+ worksheets when you subscribe to the Christian Homeschool Hub newsletter. Sign up for Education.com and get 10 free printables per month! Now through April 1st, you can get a FREE Chocolate Curriculum Project Pack eBook. This free project pack by In The Hands of Child was created for children in grades 3-8. This pack is normally sold for $10! Just for fun, download a free set of My Little Pony printables! 3Dinosaurs.com also came out with a free Easter Resurrection Printable Pack! It’s 65-pages and full of uplifting activities. GrapeVine Studies is offering a free eLesson of The Last Supperthis week. A Journey Through Learning is offering a free instant download of a free Easter games and activities pack. 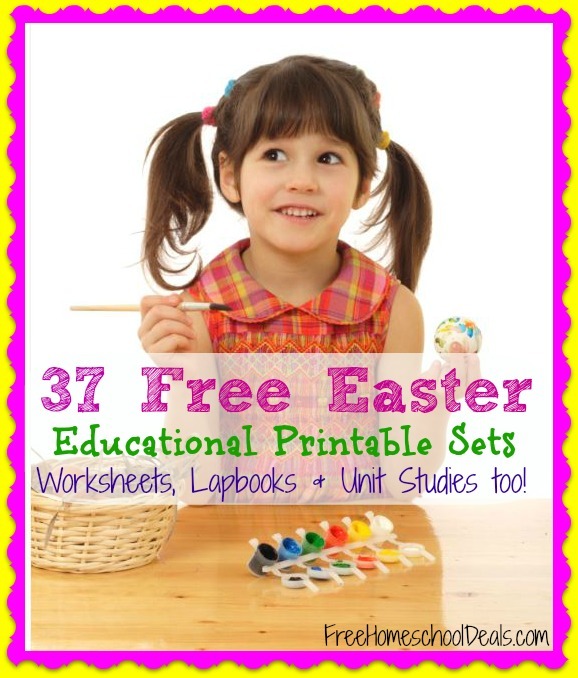 Gricefully Homeschooling has a list of 20 Free Biblical Easter Printables. 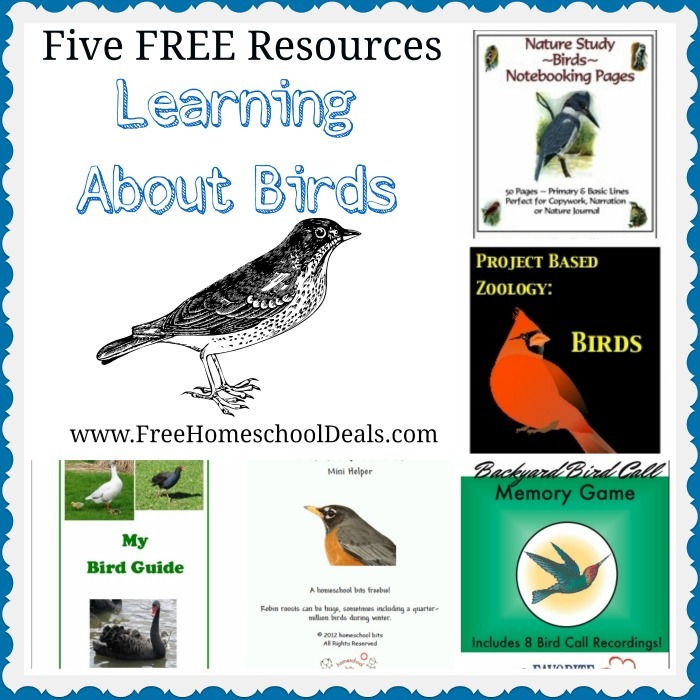 Here are five free resources to learn about birds. Looking for a fun way to kick off National Poetry Month this April? Have a Shel Silverstein fan in your house? Visit ShelSilverstein.com for a collection of free printables, downloads, games, and more! You can download a free dyscalculia toolkit when you subscribe to Dr. Linda’s Blog. This guide includes songs, crafts, games, and more to help children improve their math skills. You can download free routine chart printables to use with your children at Cornerstone Confessions. There are 8 free printable pages which include 4 customizable charts, 98 activity cards, and more. Homeschool Convention season is right around the corner. 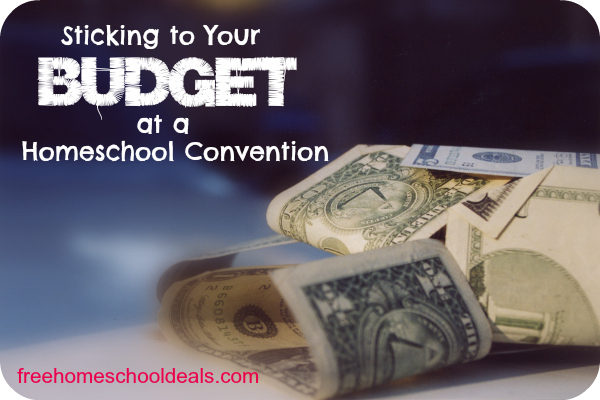 Get a free curriculum shopping list and pick up tips and tricks with 7 Ways to Stick to Your Budget at a Homeschool Convention. Jamerrill is the homeschooling mother of a large and growing family. 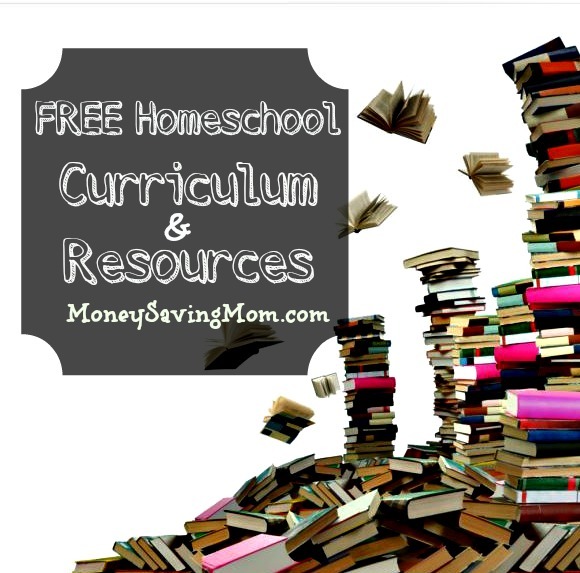 After seasons of spending $50 or less annually to homeschool her children she started Free Homeschool Deals to help all families afford the homeschool life. Daily she features homeschool freebies, homeschool deals, and much more. You can follow the free homeschool goodness on Pinterest and Facebook.